Jonny Gould's Soccermongery: Rooney certain of victory over Algeria. Rooney certain of victory over Algeria. 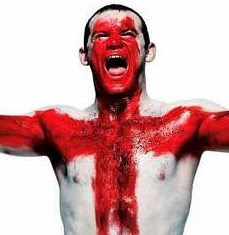 Soccermongery, the home of unbridled England optimism brings you Wazza audio direct from England's training camp in Cape Town. After the Yanks beat us one-all in the opener, we're looking for a morale boosting win to get our World Cup bid back on track.